'Stranger Things' Cast ~ TVLine SDCC Portrait (HQ). haut, retour au début L-R: Caleb McLaughlin, Gaten Matarazzo, Noah Schnapp, Finn Wolfhard. 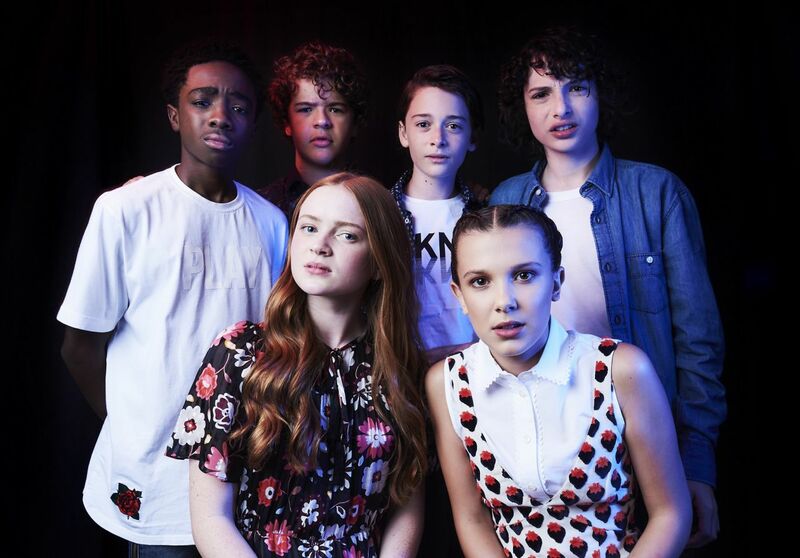 Bottom L-R: Sadie Sink and Millie Bobby Brown.. HD Wallpaper and background images in the Stranger Things club tagged: stranger things cast caleb mclaughlin gaten matarazzo noah schnapp finn wolfhard sadie sink millie bobby brown tvline sdcc san diego comic con comic con portrait photoshoot july.